What is a mosque credit card? As worship centers for the Muslim community, mosques need to be able to spend money to support their charitable efforts and to meet the spiritual needs of their congregants. This is where mosque credit cards come in. Since 1994, National Geographic reports that the number of mosques in the U.S. has increased from 962 to more than 2,100 as of May 2018. There are now an estimated 3.45 million Muslims living in the U.S., and the numbers continue to grow. One way that mosques can continue operating and pay for the items that they need is by using mosque credit cards. Mosque credit cards can help to streamline the spending of the mosque and make the transactions more transparent. Mosque cards can also help to prevent fraud and to control the expenses that occur. How do mosque credit cards work? Mosque credit cards are attached to revolving lines of credit. When the cards are used to buy things, the card issuer effectively loans money to pay for the purchases, and interest may be charged if the balances are not paid in full. If you give a mosque credit card to the administrator, it can be used to make payments or to purchase items for the mosque. The imam might have a card that he can use to travel to conferences for the faith. Why is it important to get a mosque credit card? Mosque credit cards can help to prevent fraud. Mosques and other houses of worship are sometimes targeted for internal thefts. Mosque credit cards can help to reduce your risk of fraud by making the spending more transparent. Since the transaction information will be in black and white on the credit card statements, you will be able to see how the money has been spent. Mosque credit cards may also let you get rid of purchase approval processes and petty cash systems. There are a couple of drawbacks to choosing mosque credit cards. If your mosque cannot repay the balance, it will be charged high rates of interest. Credit cards also cannot be turned off remotely, and you cannot restrict the types of purchases that can be made. By contrast, debit cards for mosques can remove many of the accounting headaches that your mosque might otherwise face. The employees can use the cards to buy things that are needed without having to wait for approvals. The cards also can electronically communicate with and send data to your bookkeeping software so that the transaction information uploads automatically. Who can benefit the most from using a mosque debit card? Regardless of size, mosques can benefit by using debit cards instead of credit cards. It is a tenet of Islam that believers should avoid interest, and if the mosques use credit cards and are unable to repay the balances, they may be charged interest. Using debit cards instead can allow mosques to avoid potential interest charges and continue to serve as role models for their congregants. Paying for items with debit cards means that the mosque is spending its own money rather than borrowing from a revolving line of credit. In what situations is a debit card useful for mosques? Debit cards for mosques may be useful in several situations. Instead of requiring the employees to purchase items for the mosque out of their own pockets, the employees can use the debit cards to buy the items. This can help to end reimbursements and petty cash systems. For example, a administrators can be given a debit card with a restriction of $500 for daily purchases and a daily limit of $50. When the administrator notices that it is time to reorder ink for the printer, the ink can be reordered with the card. This can help to avoid the administrator having to wait for a purchase request to be approved so that the mosque can continue its important work. How can I look for the best deals on mosque prepaid cards? Mosque prepaid card offers can be found by conducting online searches. While it is possible to purchase prepaid cards from a local retailer, those cards do not offer the same types of features that prepaid cards for businesses do. Researching prepaid business cards online at trusted sites can help you to compare and contrast what is available so that you can decide what might work the best for your mosque. For example, Fundera has written a good review of the top prepaid cards for businesses, which will work similarly for mosques. What makes for the best mosque debit card? The best debit cards for mosques should give your mosque substantial controls over how the money is spent. The cards should let you restrict when the employees can use the cards to make purchases for the mosque and how much they can spend. The best cards also should let you restrict where the cards can be used and the expense categories for which they will work. 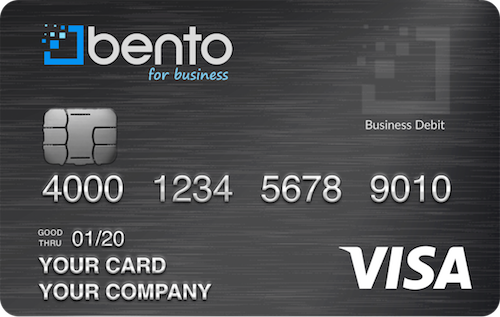 The Bento for Business Visa debit cards have all of these features. They also allow you to view the purchases that have been made on each card and the balances that remain. The cards are reloadable so that you can refill them whenever you want. You can also turn cards off remotely with a click of your mouse or a tap on your screen if you identify misuse or learn that a card has been lost. There are several reasons why Bento for Business is one of the leading solutions for mosque cards. 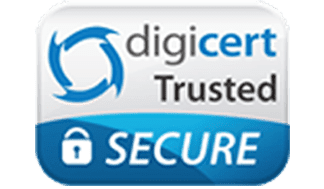 The company was established by finance professionals who wanted to offer debit cards that give you robust expense management controls. Mosques can choose packages according to how many cards that they want, and Bento offers a free 60-day trial so that mosques can see how the cards might work for them. To learn more about the benefits, call 866.220.8455.